Piko Pals connects and empowers new parents of babies age 0-4 months to build their own village through facilitated discussions in an emotionally and intellectually safe environment. Piko Pals sets the stage for connection and friendship with peers in your community, so you can make lasting relationships to share and celebrate the joys and challenges of new parenthood. Listen to Naomi describe her experience as a new mom in Piko Pals! Pre-Register Now for More in 2019! Groups are currently available on Oahu, with plans to expand to neighbor islands. Do you have a new baby (age 0-4 months), or expecting one soon, and are interested in making new friends in your community to support and discover your parenting philosophy? Spaces are limited to 10 people per location. Reserve your spot in a Piko Pals group TODAY! Your satisfaction is guaranteed and the first meeting is free for participants looking to join. Scholarships are available for income-qualified families. 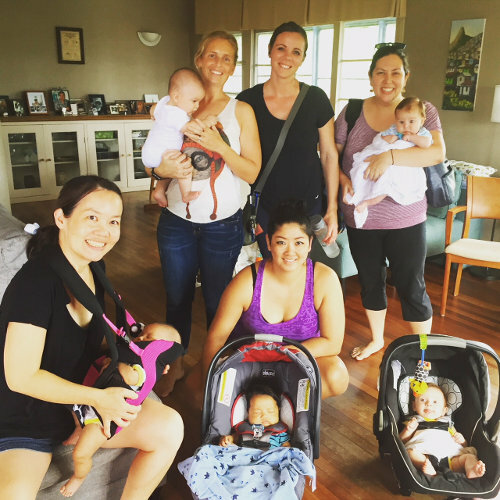 Piko Pals creates, coordinates, and cultivates community-based, peer groups for new parents in Hawai’i. Our goal is to reduce the isolation new parents often feel, while offering a supportive environment to cultivate friendships with people experiencing the same joys and challenges. Community: We are passionate about and promote the role of community in creating and sustaining strong, healthy families. Peer Support: We abide by the philosophy that mothers and fathers are uniquely qualified to support each other in addressing the challenges of early parenthood. Respect: We foster a culture that is respectful and inclusive of all people and families and diverse ideas and values. Quality: We deliver outstanding parenting programs and exceptional service to all Piko Pals participants and partners. Integrity: We are trustworthy, honest, fair, and ethical. Stewardship: We preserve and enhance the organization’s financial, human, and physical resources. Piko Pals is a new parent support group program that tackles the challenges of new parenthood with peer support. Participants come from a wide variety of backgrounds, and all have babies age 0-4 months. Piko Pals provides peer support programs for new parents based on the Strengthening Families™ Framework. Our universal programs are open to all families, and our focus is on increasing family wellness and on building resilience by preparing parents to cope with life stresses before problems arise. We know that parenting is challenging work, and we believe the well-being of a community is enhanced when all parents have access to support. Additionally, we know that supporting parets is foundational to the healthy development of children and that family wellness is two-generational, meaning that support must be given to children and parents. Many years of study confirm that outcomes of children are influenced largely by parents who are nurturing and responsive to their emotional and physical needs and that a child’s earliest experiences and environment is the foundation for future learning and school readiness. How long is the Piko Pals program? Piko Pals is a 12 week program. Participants meet for two hours, weekly, at parks, community centers or at participants’ homes. Who should sign up for Piko Pals? Piko Pals groups are open to new parents and their newborns (0-4 months old). We offer mom-only groups and co-ed parent groups for both partners. Anyone with a new baby should consider signing up, even if you’ve had kids before. The goal is to develop friendships and social support, and to learn to parent with aloha, together. That’s something we all can benefit from! Knowing that postpartum mood changes are very common, and that weathering the changes to a relationship after the addition of a baby can be hard, Piko Pals is here to support. No matter where you are in your journey, you aren’t alone, and a little bit of support can make a big impact. Where are Piko Pals meetings held? Meetings are held in neighborhoods throughout O’ahu, and coming soon to neighbor islands! We meet at parks, community centers, HMHB’s family room (245 N Kukui St., #102A, Honolulu) or at group members’ houses, rotating weekly. Your group leader will tell you where your first group meeting will be held. If you’re interested in leading a group in your area, please contact us! Piko means belly button in Hawaiian, which symbolizes the life connection to our family. Our relationships with our babies are precious, and extending our friendships to other new families is one of the keys to finding support. How much does the Piko Pals program cost? Piko Pals is a program of Healthy Mothers Healthy Babies, a 501(c)(3) non profit organization that receives no government funding for Piko Pals and relies on a combination of fees and contributions to keep providing the Piko Pals experience that many parents value so dearly. Our single goal is to ensure that Piko Pals is available to parents when they most need it; your program fees and contributions make that possible. People whose lives were changed by Piko Pals have given back to the organization so that other parents can have similarily powerful experiences. This is the strength of the Piko Pals community in action. Throughout the year, our program staff meets with partners, conducts public outreach, and hosts Piko Pals Meet ‘n Greet sessions for expectant and new parents. We recruit, train, evaluate and support dedicated group leaders each year. We develop and continually revise and update the curriculum and materials that our groups and leaders use. We recruit and maintain a roster of guest speakers in various fields who donate their time and expertise to our groups. What topics does the Piko Pals program cover? 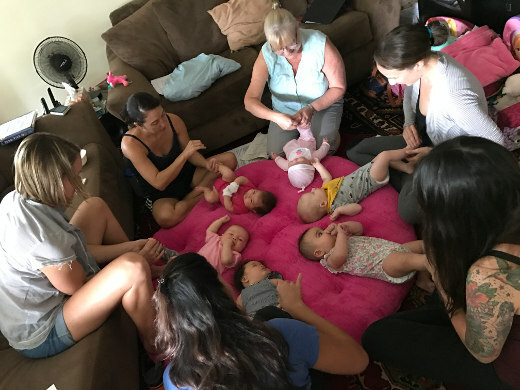 Groups first get to know each other through relatable topics that almost every new parent is facing, such as the challenges of newborn sleep and feeding. ……and much more! We have over 30 topics available for discussion, and your group has the option of selecting the themes most relevant to your personal lives. How was Piko Pals developed? 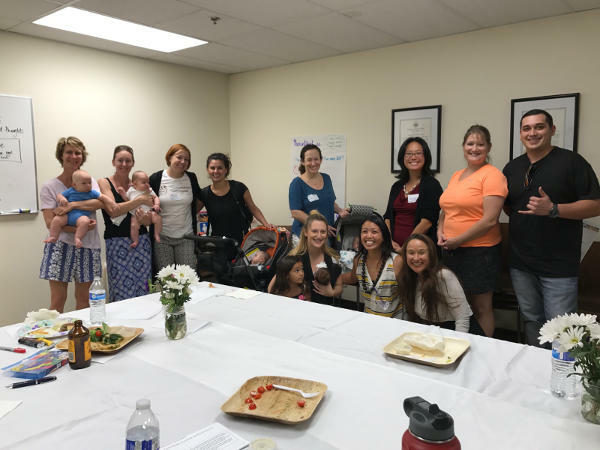 After Healthy Mothers Healthy Babies (HMHB) conducted a statewide needs assessment to ask Hawaii mothers about their transition to parenthood, it became very apparent that local communities were lacking resources for brand-new parents. Many moms were looking for a place to invest in themselves during the “4th trimester” after giving birth, by finding resources to boost their social and emotional health. Piko Pals answered the call and was developed by a group of dedicated community volunteers, in full collaboration with HMHB. 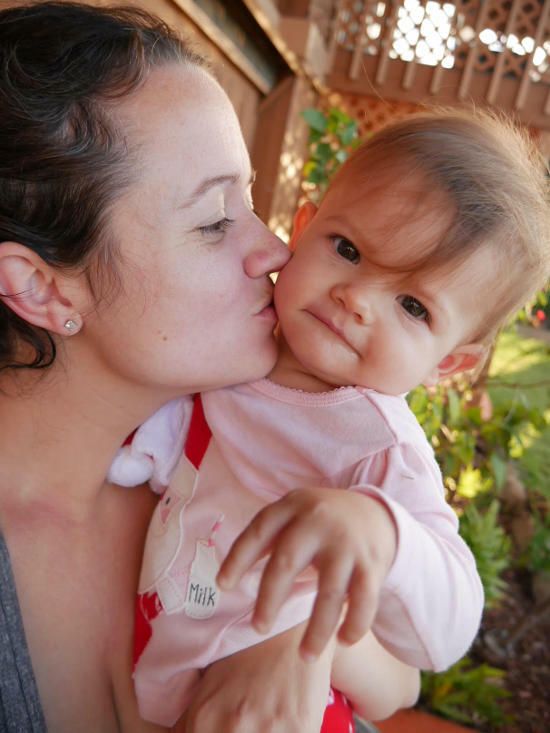 After conducting research and participating in professional training, HMHB became a network affiliate of PEPS–an organization offering new parent support groups for over 35 years–to bring this evidence-based program to Hawaii. With ongoing input from mothers and community volunteers, Piko Pals enriches the social and emotional needs of new parents, while incorporating local cultural values. Participants complete a pre- and post-group survey and input is continuously incorporated to improve the quality of the program. “As a parent, Piko Pals was an important support at a vulnerable time in my life. My Piko Pals group leader and members helped support me through sleep regressions, marriage stress, starting solid foods, and so much more. Our formal program ended in September but my group continues to meet monthly and text when we need more immediate support. We also have one-on-one play dates frequently. I had the great pleasure of being a member of Piko Pal’s first cohort as a new mom in 2017. In both my professional and personal life, I have found the work of HMHB to be of great significance and appreciate that their approach is grounded in values which empower women and families. Despite the abundance of resources available to me from my colleagues, I was, like all new parents, entirely overwhelmed by the arrival of my first child. Without family nearby and with few friends with children, my husband and I were missing the requisite “village” to support us as we embarked on parenthood. Piko Pals filled this void in a way that felt organic, supportive and personal. We leaned on each other, encouraged each other up, and normalized all of the intensely wonderful and tired feelings that come with parenthood. Programs like Piko Pals are what make a community great: building upon each other’s strengths to make for happier, healthier families. Do you have a passion for empowering new mothers? 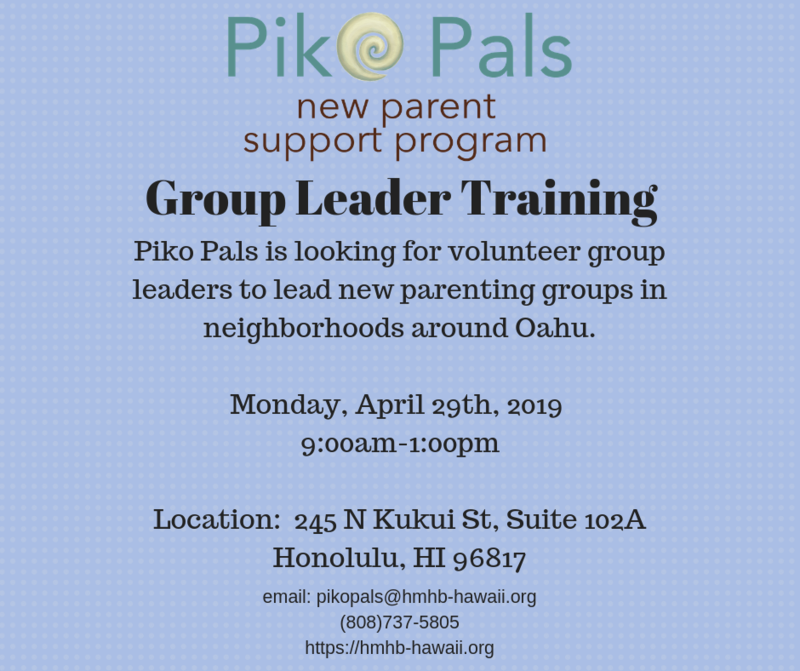 Piko Pals is looking for volunteer group leaders to lead local groups. Groups meet weekly for 2 hours, for 12 weeks, in various parks, homes, and community centers. Group Leaders do not need to be parenting experts. They do, however, need to be nurturing, empathetic and supportive of a variety of parenting styles, diverse backgrounds, and cultures, and must be able to pass a background check. Our group leaders find great joy in watching their Piko Pals group members develop confidence, as well as budding friendship and community with the other participants. Our program manager will contact you shortly, and invite you to our next Group Leader training. A special MAHALO to La Tour Cafe & Bakehouse, our Piko Pals founding corporate sponsor. La Tour consistently provides a location for group leader trainings, and support for operations. We are so grateful for their generosity and spirit of giving. Visit their locations to thank them for supporting Piko Pals!